Access to clean water means education, income and health especially for women and kids living in isolated rural areas where collecting water for families takes hours every day. Water and sanitation are at the very core of sustainable development, critical to the survival of people and the planet. In rural Kenya alone, 17.3 million people lack access to safe water and are forced to rely on unimproved water sources such as ponds, shallow wells and rivers. To narrow the gap in access to safe drinking water, SOTENI International, in conjunction with SOTENI Kenya and the SOTENI Villages of Hope (SVHs) seek support from P&G Children Safe Drinking Water Program to provide people living with HIV/AIDS (PLWHIV) in Mbakalo, Ugunja and Mituntu with over 15 million liters of clean and safe water for a period of two years. SOTENI support groups will increase from 107 groups in Round 3 to 141 groups in Round 4. On a monthly basis, the project seeks to dispense 63,450 P&G water purification packets, a 26.9% increase compared to Round 3. SOTENI support groups are primarily made up of 90% women - all whom are living with HIV/AIDS.Additionally, SOTENI support groups will receive education on basic group management skills including communication skills, conflict resolution, business skills, and best practices when it comes to income generating activities (IGAs) such as table banking, merry-go-round, agricultural, and livestock projects. The project will be delivered by seventeen SOTENI AIDS Barefoot Doctors (ABDs), supervised by three ABD supervisors and monitored by three coordinators drawn and residing within respective SVHs. To ensure quality delivery, the ABDs and coordinators will be provided with a training and refresher workshop at the beginning of Round 4. 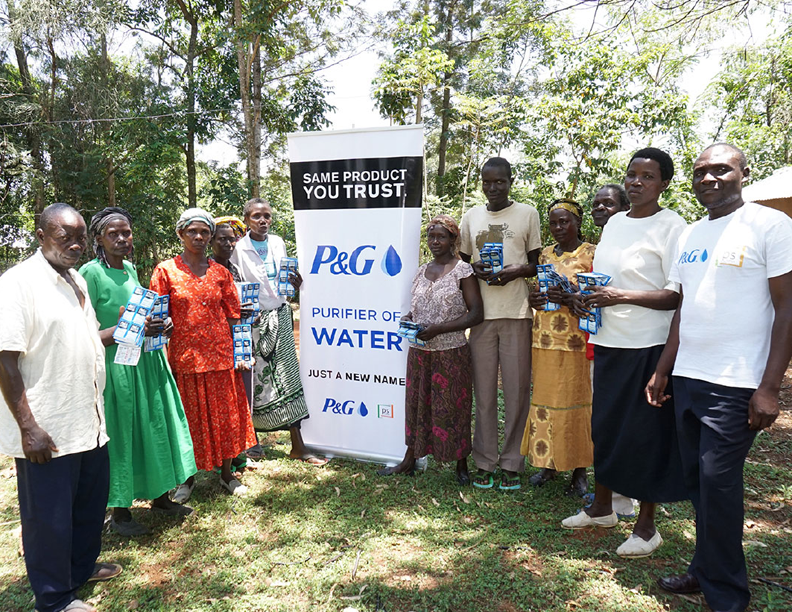 P&G Children Safe Drinking Water Program will be provided with quarterly progress reports by SOTENI Kenya in conjunction with SOTENI International. When women gain access to clean and safe drinking water they have a greater impact on their community. They start businesses, improve their homes, and take charge of their own futures. Their family’s access to clean water gives them more time to grow food, earn an income and go to school – all of which fight poverty. Newer PostGenerous donations help improve healthcare in Mbakalo!